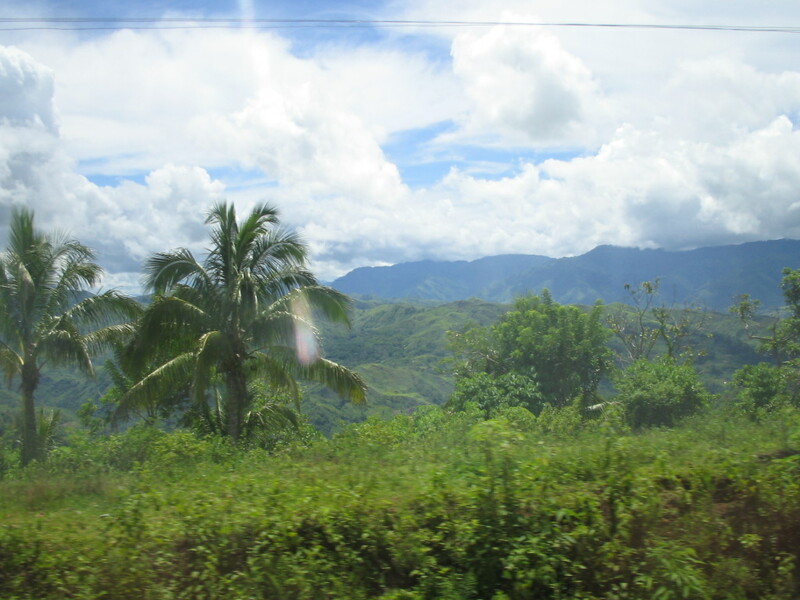 Never before have I traveled by land for a whole day in Mindanao. I have been to all these points before, each time flying in from Manila. Separate trips, really. I had planned to go to Ozamis, cutting the trip in parts, staying overnight in Malaybalay, overnight in Iligan, and finally to Ozamis. 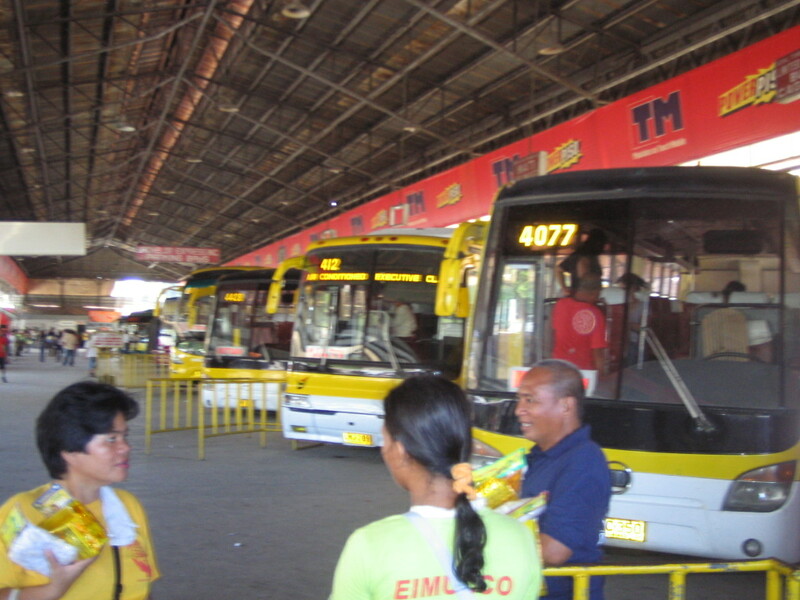 At the Ecoland Bus Terminal in Davao, I queued to get a Malaybalay ticket. It would have cost me P360. 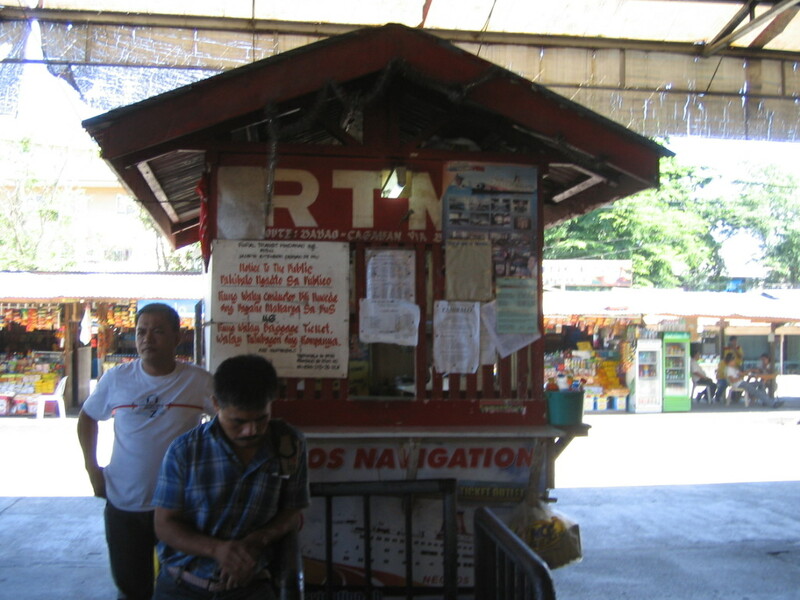 Out of curiosity, I asked the man on the counter what time the same bus will get to Cagayan. “5pm” he said. I said ” 1 ticket to Cagayan”. I paid P490, and boarded the bus. Not exactly – – – I thought I’d buy myself food in case I got hungry and thirsty. 3 packs of Otap plus 2 bottles of water. And then a hawker sold me hard boiled eggs, I bought 3 pcs. The bus looked safe – – – rather new and sturdy. Airconditioned. We took off at 9am. This was one difficult trip for someone taking photos from my glass window. I would find a view interesting and click – – – and find a tree instead on my photo gallery. Of course, the driver won’t stop, nor slow down so the passengers can take photos. Huh. I also couldn’t put a caption in most. I don’t even know exactly what those things that I photographed were, nor remember exact locations. Oh well, a picture paints a thousand words, or so they say. here now are some of the views a passenger on a bus, sitting on the right, will see. 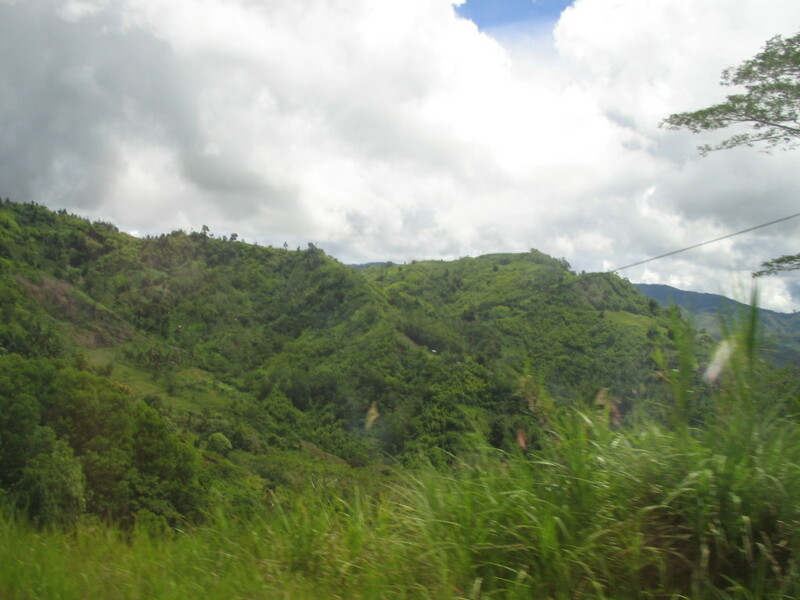 We got to the provincial boundary called Buda, short for Bukidnon-Davao. I wish I could stay longer here – – – it is soooooo beautiful. 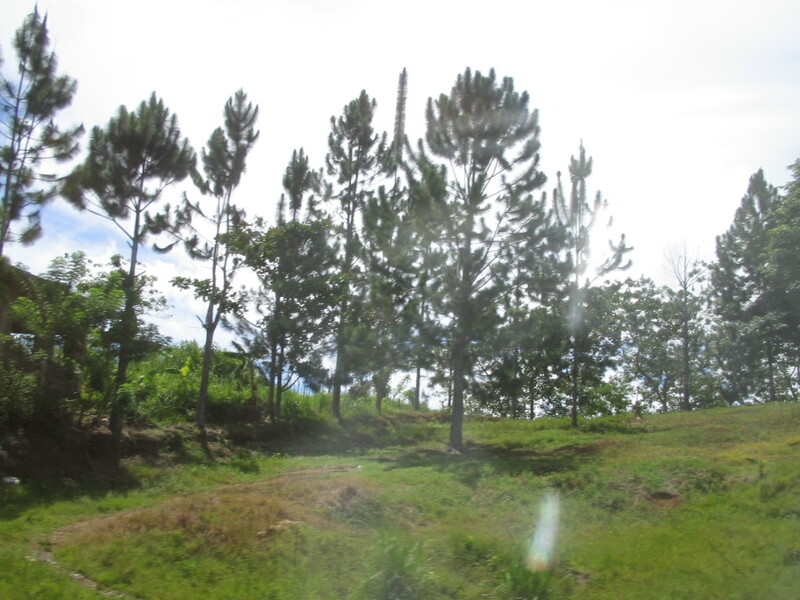 Up on the mountains, with pine trees that make one feel he is indeed in Baguio. And coincidentally, my seatmate happened to be an Igorot. 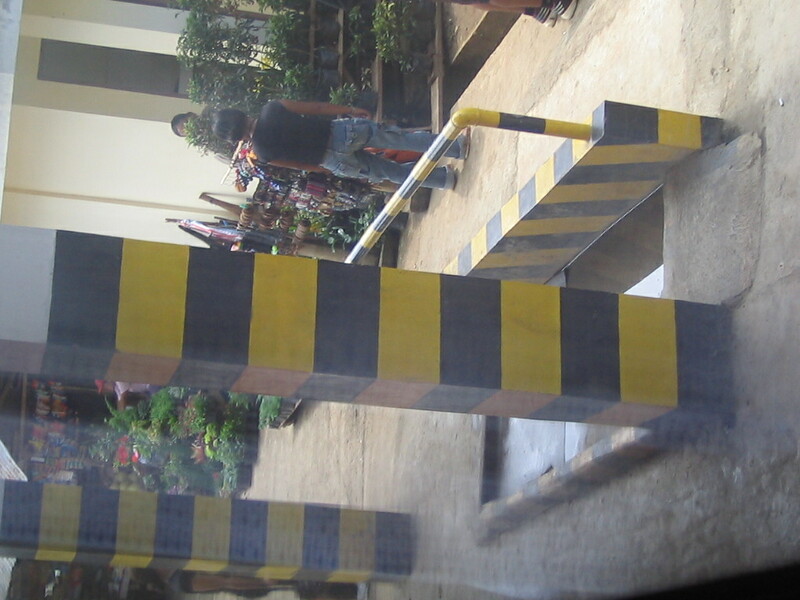 He, too, kept repeating “Parang Baguio”. Immediately after,the bus stopped and all passengers were told to disembark. And step on a wet mat with a solution to prevent foot and mouth disease. And then I realized that Bukidnon has a big cattle industry, and most likely the same procedure will prevent infection of their huge pineapple industry. stop foot and mouth disease ! 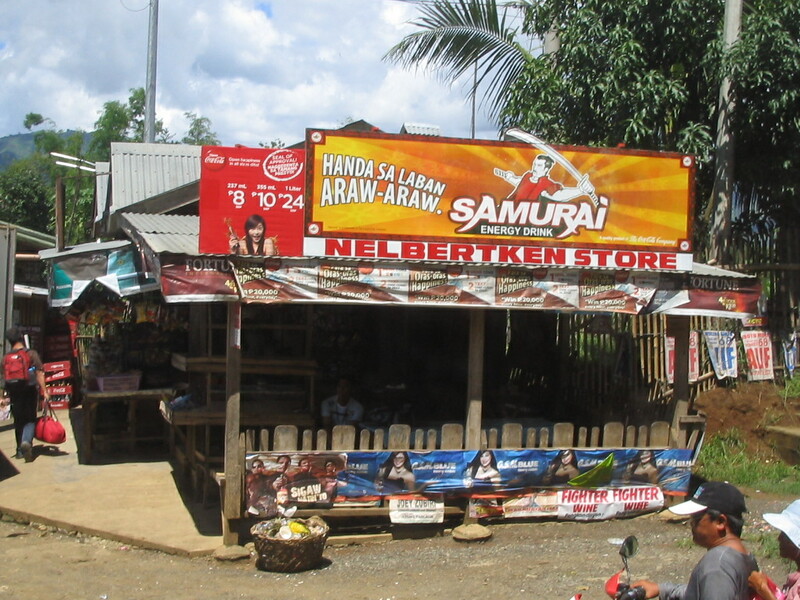 First town was Quezon, where we stopped for lunch. Lunch is in a low-end fastfood. Rice plus choices of beef, pork, poultry and vegetables, and leche flan or fruits for dessert. I noticed that some passengers who did not want to eat in the rather dirty cafeteria stayed in the nearby store and had instant noodles and bananas for lunch. We passed other towns like Valencia, where the bus was too fast for me to take a photo of a sign that says “3G Inn. Cheapest : P350, Highest P550”. Gives you an idea when you want to explore Vaelncia. 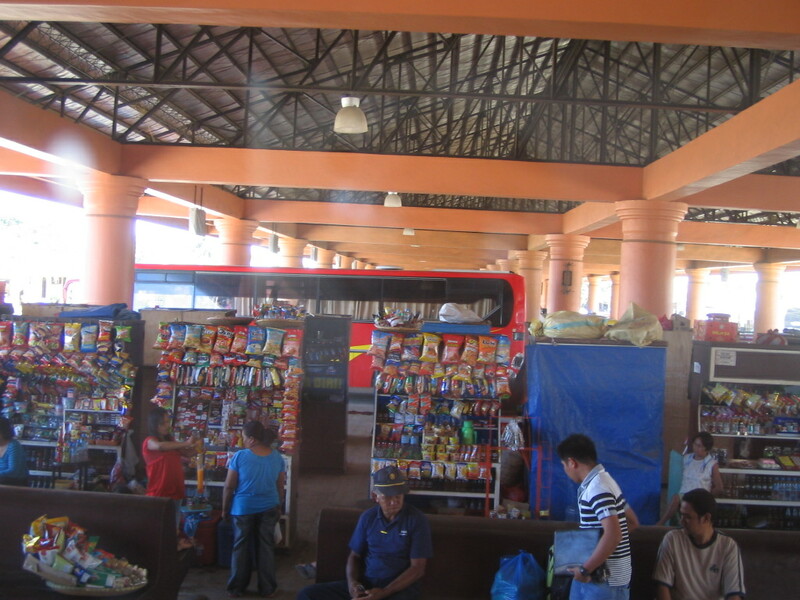 I noticed, too, that all towns and cities in Bukidnon have an Integrated Transport Terminal. We passed in all of them. 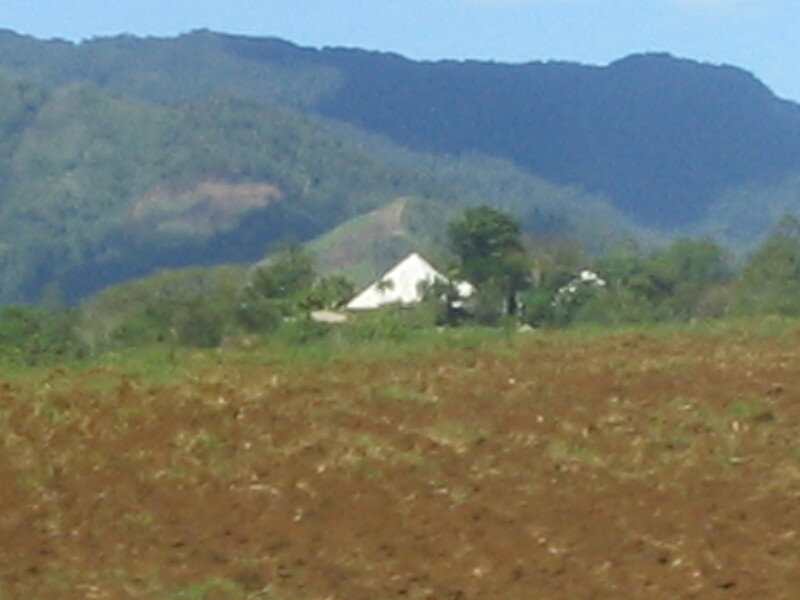 In Malaybalay, I took a quick snap shot of the Monastery of Transfiguration, a famous landmark where visitors go to to buy Monks’ Blend Coffee. 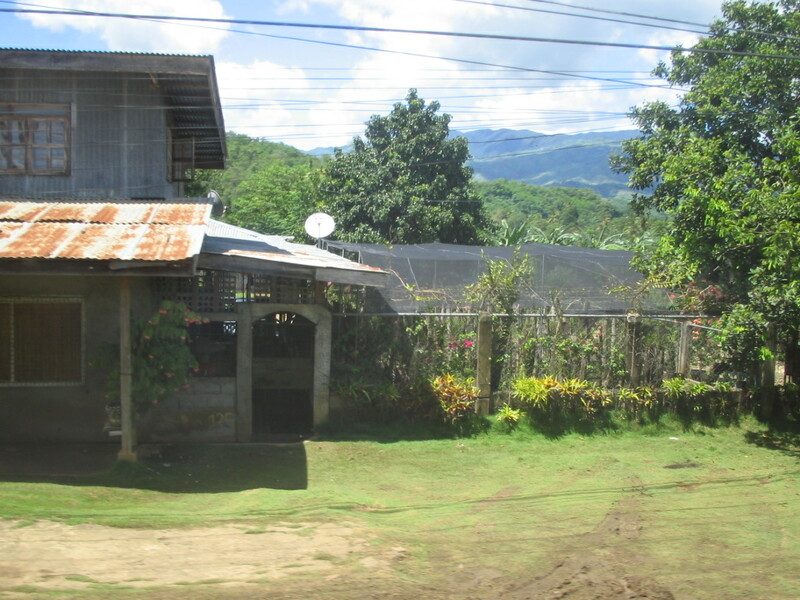 The last town before Cagayan de Oro was Manolo Fortich. The town happened to be celebrating Manolo Fortich Day. 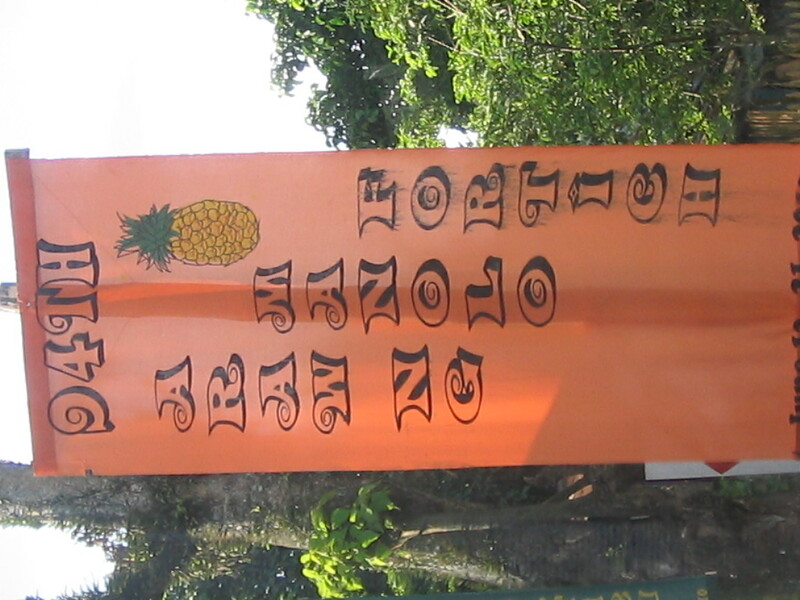 When I saw the colorful banners proclaiming Manolo Fortich Day with June 12-21 written below, I thought that maybe they did not know that June 12-20 is not a “day”, but 10 whole days. 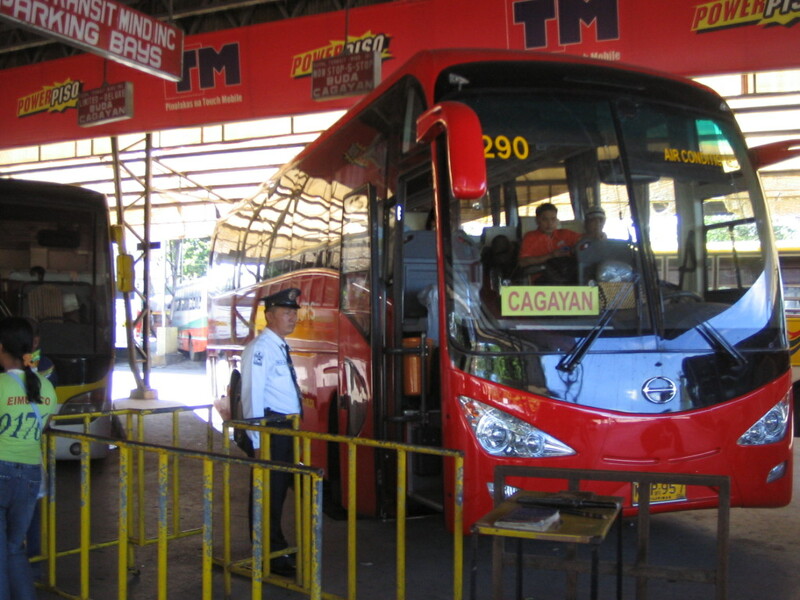 Eventually, the bus made its way to Cagayan de Oro. In Gusa, the bus conductor stopped and asked who was getting off. About a dozen passengers got off and boarded taxis waiting in that stop. Not knowing exactly where I was, I asked the locals if I should get off from here to go to my usual hotel, VIP Hotel. They said I should get off in the terminal instead. We found our way to the terminal, and it was total chaos. The terminal was in some public market, with thousands of characters going around. hawkers, pedicabs, motorcycles, a lot of men without shirts, muddy roads, looking really dirty. There was no taxi queue. And then some “agents” asked if I wanted a taxi. Do I walk from here to the hotel? Three, repeat, three boys stopped a taxi for me, each one asking for a fee. I gave P5 and shut the door, with the two other boys asking for money, too. I said I should have stopped in Gusa and boarded a taxi from there, even if it was a bit farther away. The extra fare would have been more than worth it. All told, the roadtrip was 9 hours and 15 minutes, including the “foot and mouth disease” stop and a stop in Quezon town for lunch. 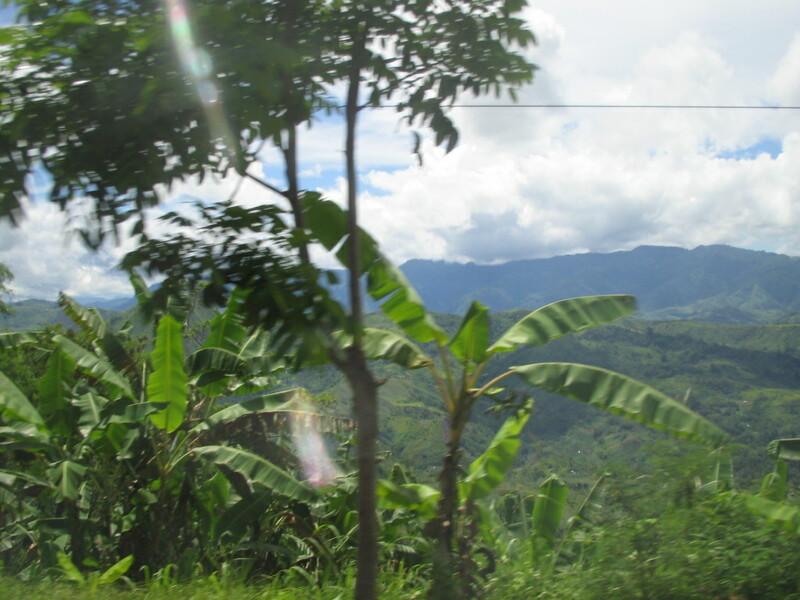 yes, the trip from Cagayan de Oro to Malaybalay, Bukidnon is such a long ride however, not an exhausting one if you consider that the air is much cooler as you go higher. your seatmate was right to comment that it is like “Baguio”. 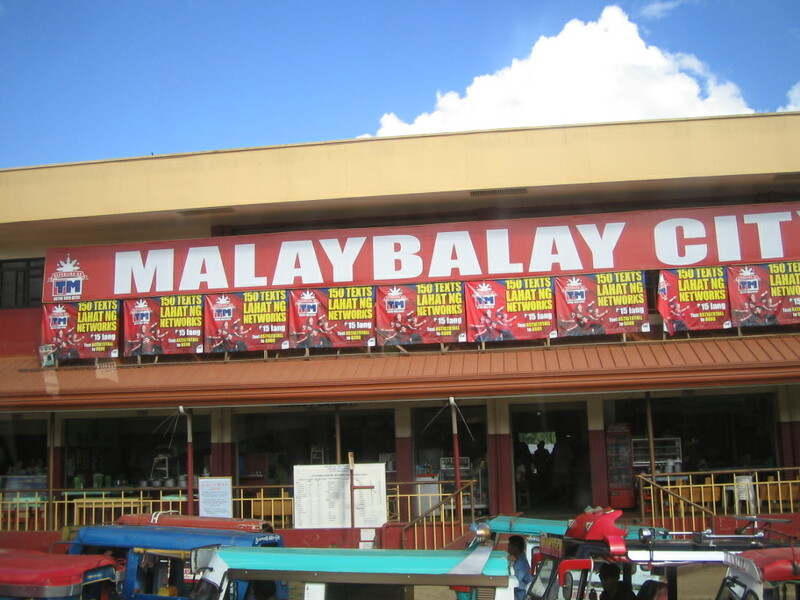 there is one also in Bohol. i forgot which part it was that, as you pass by, the air become real cool. maybe because of the tall trees that shade the route on both sides, keeping the light of the sun from filtering through. What a tiring bus journey, indeed! We did this exactly en route to Camiguin Island last April. I’m proud of my little girls to have endured long hours on the road to and from Camiguin via CDO. 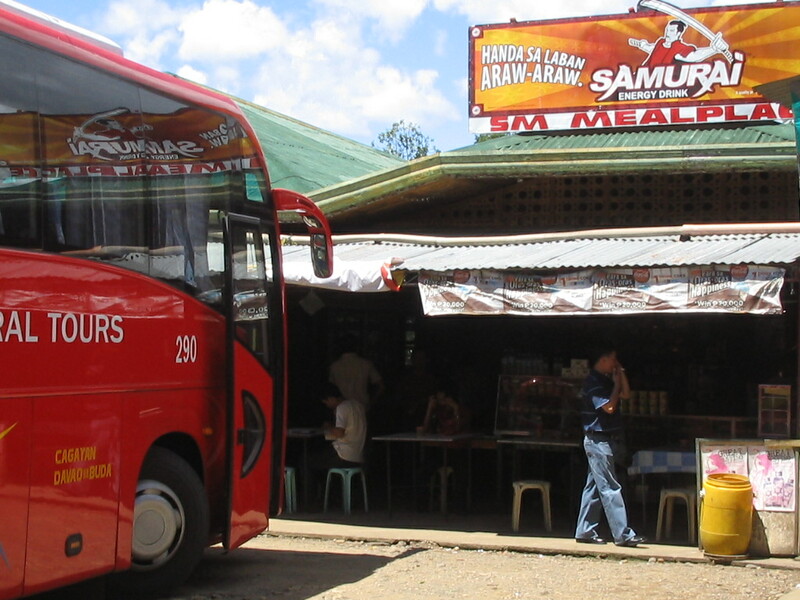 can somebody tell me what are the schedules aircon bus via cdo to davao city everyday??? Quite honestly I do not know the exact schedules. But I am certain buses leave at least once every hour starting early morning. Better yet, google might help. sa bus ngayon araw ,papuntang cagayan de oro..galing davao? Sorry, I wouldn’t know. I am a blogger and I only write stories about my travels. I suggest you check with the bus companies. 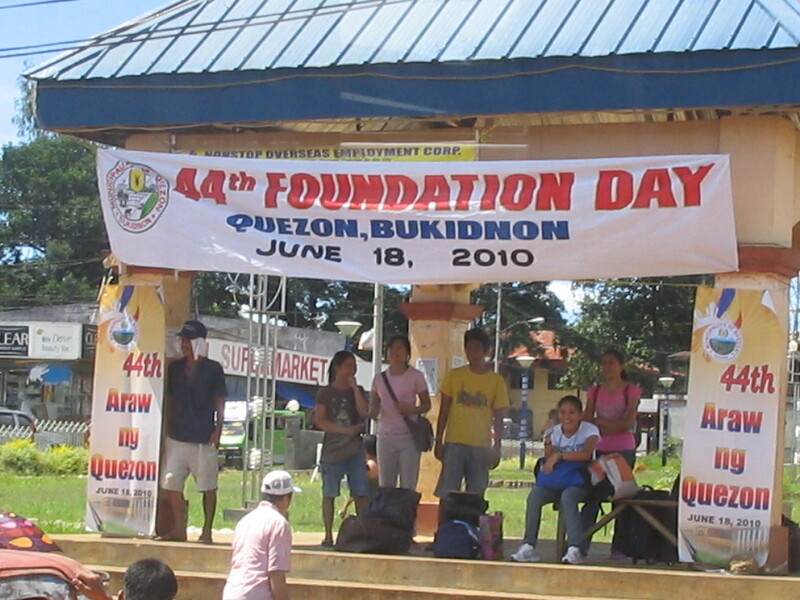 Saan kaya sa Bukidnon ang maganda puntahan as tourist?. I am planning.